Ready for hanging. Easy to fold up and reuse. 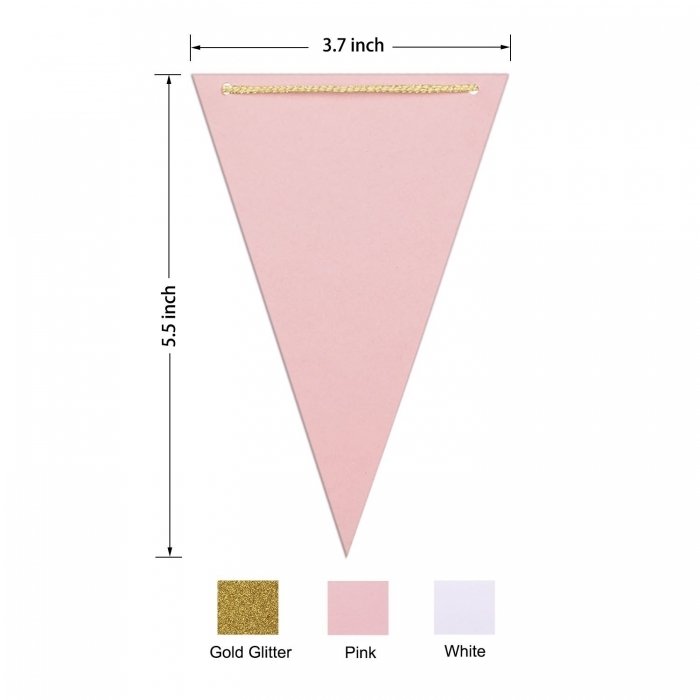 White Gold Pink Triangle Flag size:14cm length, 9cm in width. 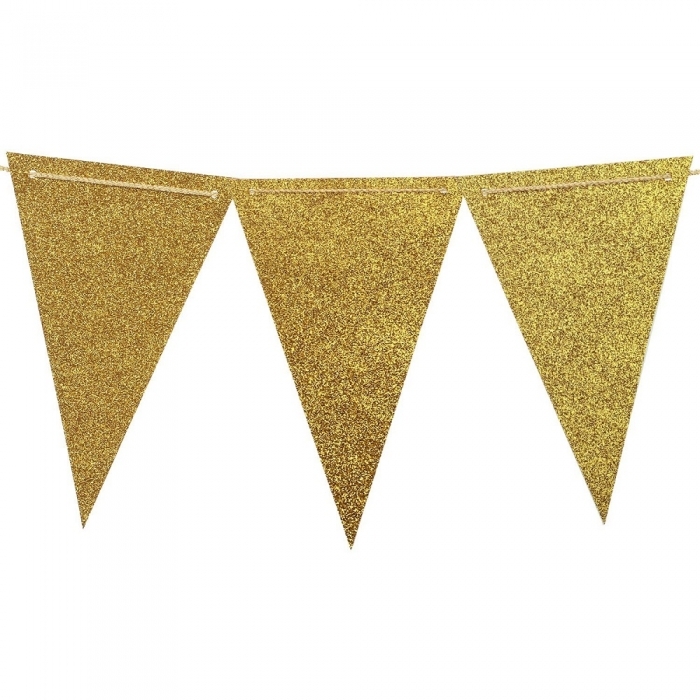 All 15pc bunting banner flags for birthday party supply. Option1-standard package: 1pc/opp bag (with head card), or several pieces into one opp bag (with head card). Option2-custom package: send us your package requirements and artworks. 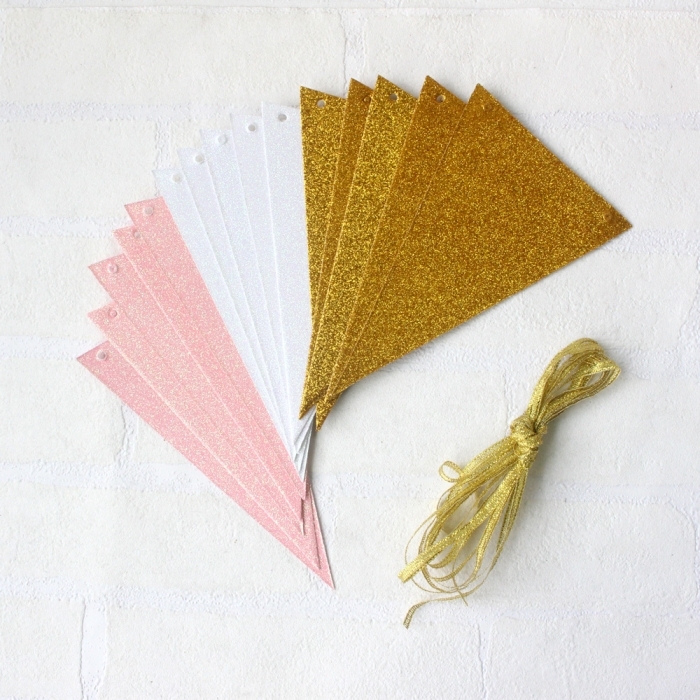 This product is our stock items which means they can be shipped out at an earliest pace. Usually we can ship out goods within 10 days after receiving client's order payment.